BREXIT negotiations have left holidaymakers fearing for the future of their travel plans after new passport advice was issued in light of a no deal – but what does it all mean? A Brexit divorce deal, which will detail the UK’s planned departure from the EU, as yet has not been finalised. Yet rumours of the impact of the separation, planned for March 29, will have a serious impact on the travel sector from everything to passports and exchange rates to flight routes and border control. ABTA has previously confirmed flight routes will continue to operate as normal between the UK and EU in a post-Brexit environment, but new fears were sparked over recent Government advice about the validity of UK passports amid a no deal Brexit. Yet just which passports are affected, and which countries need specific extra validity? What is the latest with Brexit? Brexit is the process of the UK Government withdrawing from the European Union. It is still riddled with uncertainty, with the specifics currently undergoing intense negotiation. A Brexit withdrawal deal has not yet been agreed, with MPs in the House of Commons rejecting Prime Minister Theresa May’s initial Brexit divorce deal earlier this month. Mrs May’s new Brexit deal plans will undergo a second vote in the House of Commons on Tuesday (January 29). The uncertainty has opened up both the prospect of a no deal Brexit – where the UK will leave the EU on March 29 with no guidelines on how to proceed. REVEALED: How to save up to £275…without leaving your house! What is the impact of a no deal Brexit on UK passports? The latest Government regulations mean holidaymakers may need to have more than 15 months valid on their passport before they travel. 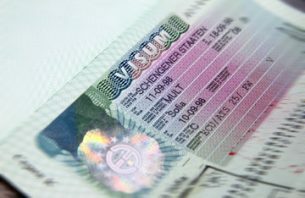 Last year, it issued information about the changing requirements for entry to Schengen states. The advice said that you should have at least six months left on your passport before you travel, with millions of UK passports now under threat of becoming invalid. The zone covers 26 European states, including popular destinations such as France, Germany, Italy and Spain. The states have officially abolished passport and all other types of border control at their mutual borders. They boast a single visa policy and single jurisdiction for international travel purposes. The new rules don’t apply to all countries, however. They don’t apply to Ireland, and other non-Schengen states such as Bulgaria, Croatia and Romania.